Balanced Scorecard Toolkit includes step-by-step manuals, documents, presentations, check lists designed to help business professionals with successful development and implementation of Balanced Scorecard. Buy BSC Toolkit online for $299! Before placing an order check out the content of the Toolkit with examples of slides and texts below. BSC Toolkit includes several documents. Each document covers particular topic of Balanced Scorecard and related areas. Check the content below. Steps included in examination of company before balanced scorecard implementation. The SWOT Analysis. Vision statement and corporate values analysis; Financial Analysis. Expertise level analysis. Building a balanced scorecard to measure, control and improve company performance. Process 1. Strategy formulation. Process 2. Deciphering process improvements from organizational strategies by linking the two. Process 3. Deciding for the measurements and Targets. Testing the results of Balanced Scorecard Implementation. Introduction. Preparations prior to initiating the testing phase. Determining the results of parameters of Balanced Scorecard. Updating the core elements of Balanced Scorecard. Step-by-step algorithms: how to design strategy maps; integrate strategy map in business processes; update strategy maps; Checklist on designing good strategy maps. Once the order is placed it will be processed by our partner – PayPro. Typically it is processed immediately and RegNow will provide you with links to download the full version of toolkit. Please note: your order will not be refundable, so before placing an order, please, learn carefully information about Toolkit. This information includes some samples of what you will have in full version and allows to evaluate the content and the quality of your future purchase. Find below the opinions of BSC Toolkit customers. 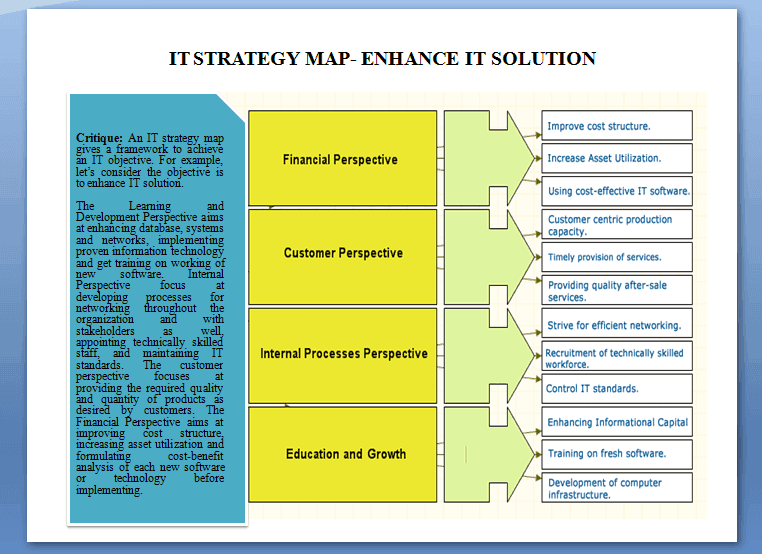 As an IT software company we provide our clients with solutions in customized SW products. BSC Toolkit is a very useful tool for any stakeholder in the area of measurement and for management of a company’s performance. For me personally it was a very useful part about implementation of BSC and benchmarking with valuable information. We plan to use some information from the kit also for our internal training of SW engineers. The task is to strategically align the engineering activities and procurement activities into one functional group to support the client’s operational needs. This entails retooling our project methodology to support emerging work. This program is a useful tool to help us analyze what metrics hold a purpose and how to articulate continuous improvement. This was much more informative than the BSC initial training I purchased. I was pleasantly surprised with the detail in the white papers and spreadsheets. I purchased this on my own to review and see if it would help with the program’s activities. I was not disappointed. Our task is not complete, but we are better aligned for new challenges. It is an excellent tool to design and organize the main information of business. It serves as both for specific areas it will have a general overview of the entire company. It is especially useful for SMEs. You can also integrate with other tools like Excel. It is very good, the best. I use the contents to understand BSC concepts in detail and build frameworks for company BSC preparation and implementation. BSC Toolkit is very useful in understanding the BSC concepts in detail and helps in preparation of your company BSC. The contents of the toolkit are easy to understand and can be related to live business scenarios. BSC Toolkit is highly recommended for all of you who want to understand the BSC from basic and build their expertise at an advanced level. Building personal scorecards for coaching clients to help them achieve balance in their lives, while using an accountability tool. While I am still getting to know the tool, I believe the product is an excellent tool to help build balanced scorecards in both business and personal contexts. The instructions are easy to follow. Additionally, I plan to discuss the tool in the context of leadership and good business practice in an MBA course I teach adjunct. Finally, I think this tool could be adapted for some of the nonprofit organizations in which I sit on their boards. The BSC Tookit of BSC Designer was useful in developing a broader understanding of the step-by-step process of cascading objectives and goals of the organization to different organizational levels. Using the BSC Tool Kit we were able to break down the organizational objectives and cascade them into goals for different positions in the organization. 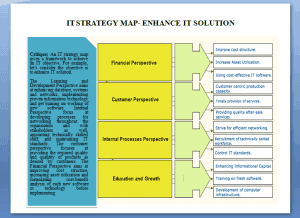 BSC is an excellent tool, I revisited my client strategy and found to be non-competitive, this toolkit helped me to devise their strategies in a correct manner, setting up vision, mission, departmental goals and functional objectives, and also the tools were very helpful in aligning organization competitiveness at all levels. This toolkit is for internal or external consultants and implementer. They should be able to align their companies, firm or organization for today’s commutative environment. This toolkit helps to set objectivity. Key performance indicators converting to key result areas helped stakeholders predict internal and external strategy to stay competitive. Also, these tools have a lot of material to train managers and implementers. Initiating BSC projects in client companies, usually medium-sized organisations where the understanding of strategy execution is limited. The templates are useful and allow for a simple, yet effective approach to explaining, training and implementing BSC approaches. The tools also serve as an excellent set of inputs for the facilitation of design sessions when starting out with BSC approaches to strategy execution. The guideline notes are also practical and assist in taking the complexity out of launching BSC initiatives in organisations that try to use “scorecards” without understanding the logic and flow of the BSC process and the design and role of strategy maps. I am using Balanced Score Card in the implementation and tracking of a five-year strategic plan for an academic medical library. I have found this approach to be helpful in narrowing down the relevant metrics and to review the library’s role in the College overall mission. It has also been helpful in elevating the level of data collected within the department, which was mostly at the result indicator level. I thought the audio files were fantastic. They were to the point and had a review element built into them. The examples used to illustrate BSC concepts were easy to understand and follow. I learnt a lot from them and have gone back to listen to them many times. Using them in conjunction with books on BSC I have also found to be a good strategy. We use BSC Designer to support the conceptual part of leadership and business acumen. I just started to use this application. So far it looks like a great solution for integrating and making a better understanding of business objectives. Making intangibles tangible creates important buy-ins for HR, satisfying the needs for other stakeholders in the organization (management). This framework is also good for education and learning. The steps in preparing and describing objectives are very important. This is a good tool for helping in this process. Summary: The Balanced Scorecard Toolkit reviews the history of the Balanced Scorecard concept, compares this concept with other management concepts, and gives a detailed ideas on how to develop, implement and use Balanced Scorecard to improve business productivity. Why the scorecard is “balanced”? 4 default perspectives of Balanced Scorecard and the basics of using them. Scheme. Scorecard History. Balanced Scorecard today. Who creates the concept first? What are Metrics, KPIs and BSC? What Processes should be examine? How do owner get information from the Balanced Scorecard? How does an owner share his vision with management using the Balanced Scorecard? Summary: This part of the Balanced Scorecard Toolkit is a guide on how to examine a company before Balanced Scorecard implementation in order to collect necessary data for future Balanced Scorecard Design and Implementation. Process 1. The SWOT Analysis. Process 2. Critically analyze the vision statement and corporate values of the company. Process 3. Financial Status Analysis. Process 1. The SWOT Analysis. Introduction. “Can do” and “Cannot do” of SWOT analysis. Internal Aspects in SWOT Analysis. Internal Aspects in SWOT Analysis. Scheme. External Aspects in SWOT Analysis. External Aspects in SWOT Analysis. Scheme. Process 2. Critically analyze the vision statement and corporate values of the company. The introduction. Analysis of vision statement and corporate values. Objectives. Analysis of vision statement and corporate values. Objectives scheme. Analysis of vision statement and corporate values. Detailed description. Analysis of vision statement and corporate values. Ways to bring values in behavior. Attributes that can be incorporated in a corporate value system. Analysis of vision statement and corporate values. Checklist. Process 3. Financial Status Analysis. Introduction. Financial Status Analysis. Detailed Description. Analyzing the Financial Status. Scheme. Other processes to be examined in financial status analysis. Analyzing the Level of expertise and processes. Objectives. Analyzing the Level of expertise and processes. Detailed description. Analysis of process helps in improving it. Steps to be done. Analysis of process helps in improving it. Scheme. Analyzing the Level of expertise and processes. Checklist. Case Study. Premier retail chain. Case Study. Starting with SWOT. Process 1. Strategy formulation. Prepare vision and mission statements for Balanced Scorecard design. Process 2. Deciphering process improvements from organizational strategies by linking the two. Process 3. Deciding for the measurements and Targets. Creating performance indicators. Strategy formulation. Why do you need it? Strategy formulation. Most common problems. 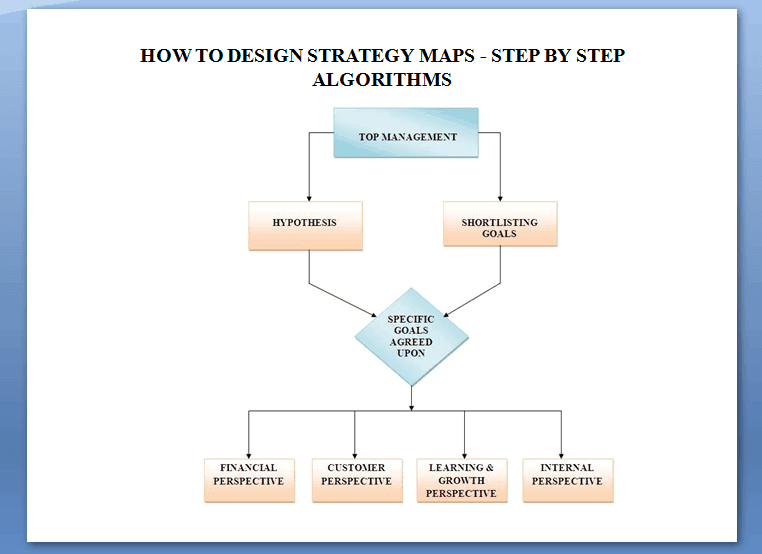 Objectives of linking strategy and processes. Deciding for the measurements and targets. Introduction. Case Study: Linking strategy to processes. Operation of the BSC system. Introduction. Case Study: Implementing Balanced Scorecard in Proto Auto Works. Summary: This part of the Balanced Scorecard Toolkit is a guide on how to measure and evaluate results of Balanced Scorecard design and implementation. Preparations prior to initiating the testing phase. Introduction. Determining the actual values for parameters of BSC. Introduction. Updating the Core Elements of Balanced Scorecard – Objectives, Measures and Targets. Introduction. Determining results of Balanced Scorecard. FAQs. Case Study. Testing the results of parameters of BSC. Case Study. Checking Scorecard Values. Title: How to calculate performance indicators step-by-step. This document is a part of BSC Toolkit. Summary: Balanced Scorecard is a well-known concept and it’s easy to find helpful articles about what this concept is. Balanced Scorecard projections and perspectives are also talked about much. Business professionals lack essential information about real-life metrics and information on how to build actual scorecard, which supports weights and scores, which allows calculating the performance values. This whitepaper is a Balanced Scorecard design toolkit, which contains some “how-to” ideas. Measuring business performance with Balanced Scorecard concept. Balanced Scorecard helps to measure performance and share business goals. Balanced Scorecard Toolkit: Perspectives and Metrics. Four must-use perspectives to describe any business unit. Always need to start with these metric groups. Balanced Scorecard Toolkit: Weights and Scores. The Balanced Scorecard should be represented as a set of metrics, weights and scores. Balanced Scorecard Toolkit: Calculations. Steps to calculate performance using a given values of metric importance and user’s scores. Normalization and performance calculation. Calculating the performance value using normalized score and weight values. Balanced Scorecard must be a document packed with performance information. That’s why it is the best way to share management and business goal ideas with colleagues. Building a Scorecard that works involve two main processes: suggesting a proper metrics and calculating the total performance. Metrics should be designed by key managers; suggested metrics should be carefully evaluated in action. As for calculating performance, start with some simpler tools, such as spreadsheet processor to describe the Balanced Scorecard of the business unit and calculate the performance. Summary: The Balanced Scorecard and Benchmarking document reviews ideas behind benchmarking, the possibility of using Balanced Scorecard for benchmarking, real-life samples of using Balanced Scorecard approach for benchmarking. This presentation is a part of Balanced Scorecard Toolkit. Using of BSC for Benchmarking. Formulas. BSC for Benchmarking. The range of application. Case study. Moving from planning to evaluation stage. Analyze results obtained from benchmarking. Successful implementing of benchmarking. Case study. Data collection for benchmarking. Case study. Results of Balanced Scorecard for Benchmarking. Case study. Summary: This paper reviews the background literature on the use (and abuse) of key performance indicators. of Key Performance Indicators (KPIs). The report includes 70 KPIs with judgement and analysis of their practical application. 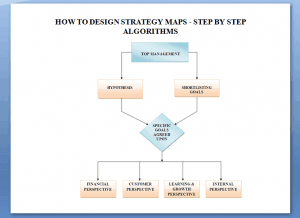 Summary: This part of the Balanced Scorecard Toolkit is a guide on how to use the business strategy map concept. 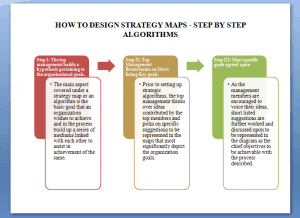 Strategy maps success stories. Case I- Anxetic technologies ltd.